This. Is. Heavenly. This is without a doubt the softest, best-tasting bread that has ever come out of my oven. And part of it is whole wheat! I was a little intimidated by the recipe, never having attempted such a thing, but it came out great. I’ve been having this with my coffee every morning, and I can’t WAIT to make french toast with it! This is adapted just a bit from the King Arthur flour recipe. Mix instant yeast (or dissolved yeast) with the rest of the bread ingredients. Knead everything together until dough is smooth. I plop it all in the bread machine set to the dough cycle. Easy! If you knead with a stand mixer, knead for about seven minutes on the second speed; it’s okay if it sticks at the bottom of the bowl a bit. We don’t want dry bread! 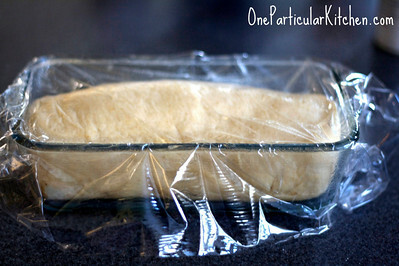 Loosen sides of pan with a knife if needed, and turn bread onto a rack. 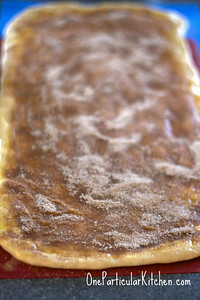 Brush the top of the loaf with butter and let that soak in while the bread cools. Then slice and enjoy! Ooh – mashed potato flakes?! What a great ingredient to incorporate into the dough! Isn’t that brilliant? It’s in most of their recipes. It’s magic! Oh my goodness this looks fabulous!!! I’ll bet my husband would really love it too! This looks like a fantastic loaf for this weekend. WOW That looks great. Love it……………..
Mmmm, that looks delicious! I actually like the combination of whole wheat and cinnamon sugar more than just all-purpose flour. Bet this really would make fantastic French toast! What does adding potato flakes do? Eva: the potato flakes keep the bread from getting too dense or heavy; they absorb the wet ingredients and help hold everything together, but don’t have any gluten to toughen up. Also extends the shelf life of the bread, I believe? Zahra: I’ve heard that you can substitute actual mashed potatoes for the flakes! At King Arthur Flour they use potato flour, but of course that’s harder to come by than either flakes or actual potatoes. If you do use potatoes, you’ll want to decrease the liquid in the recipe since mashed potatoes have some water/milk in them. This looks awesome! I love King Arthur recipes. I have yet to have one fail me! This is a beautiful loaf!! I love the clean lines of the swirl! 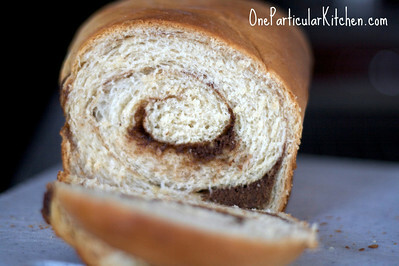 That cinnamon bread looks amazing! I like those nice thick viens of cinnamon in there! I’m questioning how your cinnamon veins are so thick with only a teaspoon and a half of cinnamon. I made 6 loaves of cinnamon bread Christmas Eve day, used much more cinnamon and my viens did not look that thick. Well there was also 1 3/4 ounces sugar and 2 teaspoons flour in addition to the cinnamon which bulks it up a bit.